Has been a good company to work with. They did all the negotiating with the insurance company to get me a new roof and siding. Hi Patrick! Thanks so much for leaving a review on our site. We're glad to hear you've had a positive experience with DreamHome! Feel free to reach out anytime you need any of our services in the future. Your employee Robert C. is a very smart and professional individual. Robert came back to do the final inspection on my roof and kept me informed of everything he was doing. He is a good representative for DreamHome Remodelling. I usually don't take the time to write reviews but I can't stop smiling and walking outside to look at my beautiful brand new roof installed by Dream Home. These guys did such a fantastic job and far exceeded my expectations. Dream Home did everything they said they would do and more. My Dream Home consultant, Dave Blankenship, was fantastic and helped me find what I needed. He followed up both during and after the installations. I was very impressed. I would highly recommend Dave Blankenship and Dream Home!!! 5 out of 5 stars. Dream Home installed new trim and gutters on my home and the finished product is lovely. The worker/installers were professional and neat. The consultant Mr. James Garcia came to check the finished project and he displayed knowledge of the products and services offered by Dream Home; he inspected the work and asked how I liked the new items, if I was satisfied with the new products and if he can assist me in any way. I found him to be smart and sincere, as well as, an great representative for the company. I told James the if I decided to get services in the future I will definitely call Dream Home for an estimate. Thank you James Garcia and Dream Home for making my home look like a dream come true. Customer service is excellent and very professional. Tony was very fast in solving my request. 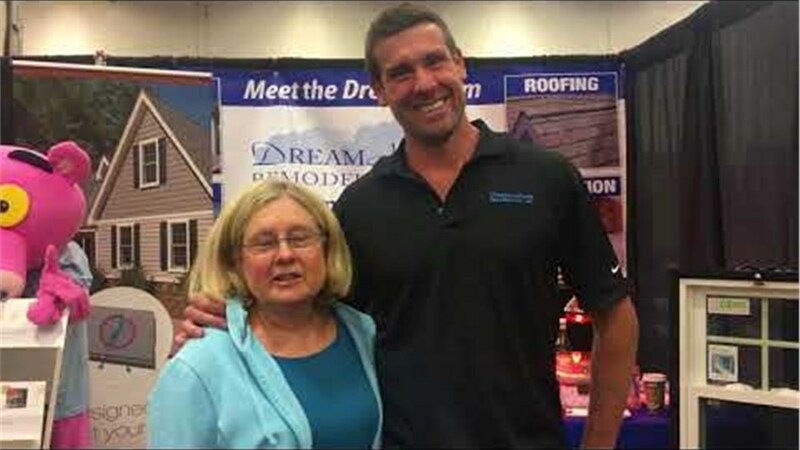 My husband and I sat through several hard sells from other roofing and window companies, and none impressed us like Mike Eaton and DreamHome's triple-glazed window and architectural shingles. The team was great, from the sales, through measuring with Sebastian, installation, and then customer service with Anthony and Renee. We had the roof and windows installed in October/November and noticed a couple of small items that needed to be addressed. I had wondered if we would still get the same flawless customer service after the install, and they ended up being great (I held off on my review until all work was done). I'm a stickler for detail and everyone on the team was fantastic and we are happy with the roof, added insulation, and windows. Because there was such a marked improvement in the appearance of our house, people stopped in front of the house to take photos of the DreamHome's sign. We live close to 66 and 495, and our triple-glazed windows have muffled the sound markedly. When we are ready, we will call DreamHome for siding and more insulation. We had our roof replaced due to hail and storm damage. They worked with us and the insurance company to get the job done in a very short time! Workers were very professional, quick, and did an awesome job cleaning up! Will definitely us them again and referred to other neighbors. Thanks again to your company and all staff members. I am in the process of getting new siding for my home, due to wind damage. Dream Home has provided exceptional service so far. They met with my insurance adjuster and provided all the necessary documentation. My roof was damaged by an ice storm. Dream Home sent very professional workers to repair it, and within 2 days I had a great looking roof. Workers were extremely courteous and neat. Great Job! !